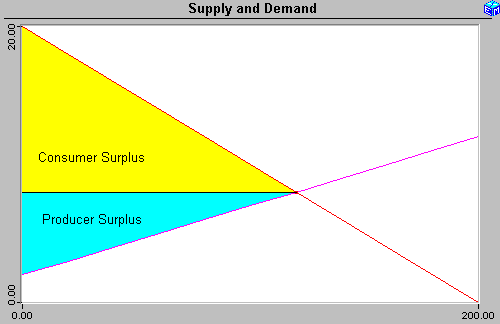 Only the marginal consumer is willing to pay just the market price in a typical supply and demand equilibrium. The consumers would be willing to pay more than the market price are what makes the demand curve slope downward. The amount that these consumers would be willing to pay, but do not have to pay is known as the consumer surplus.